Like yesterday the weather was wonderful and almost perfect for photographing. 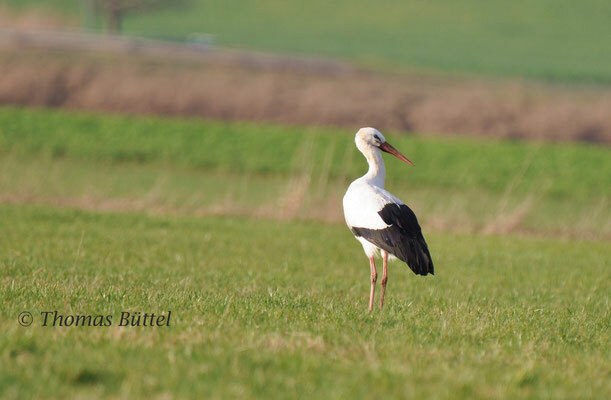 Today I went to Pommersfelden, where two White Storks have been reported recently. 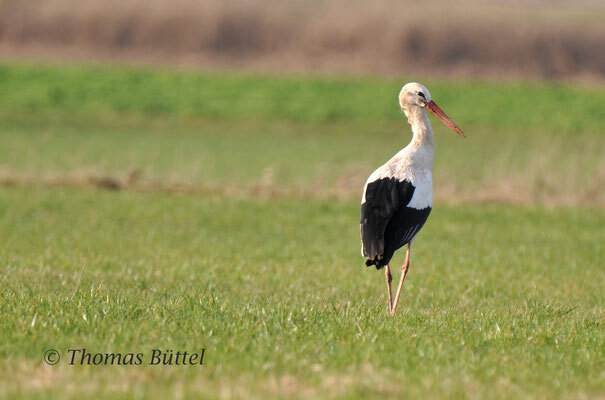 The White Storks were visible even from the car and I got very close to them. Apart from that the meadows held several Great Egrets and Meadow Pipits, which stayed however always very distant. Nevertheless I was rather pleased with my results, not least because I succeeded in photographing my main target species. 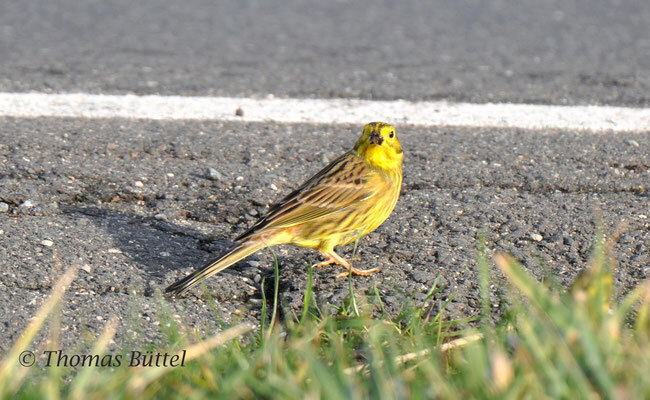 Finally having almost reached the parking ground again I encountered three Yellowhammers, which were feeding along the street. Because of the rather small distance and of the beautiful light I managed some decent pictures. 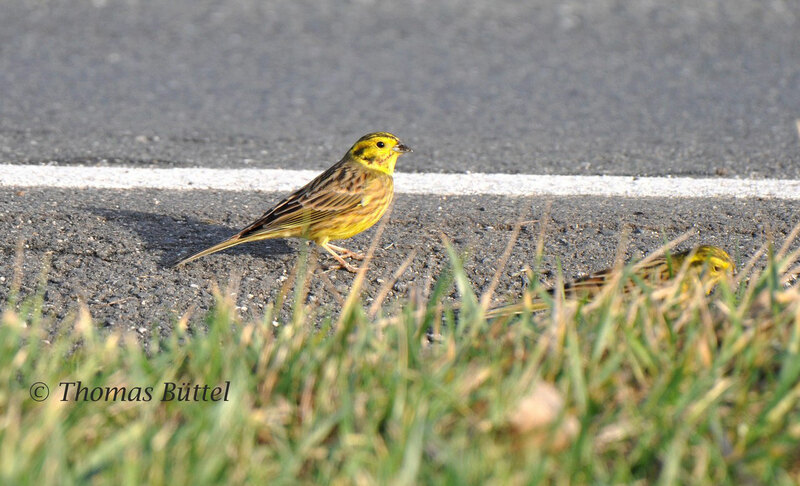 At home when I was looking again on my results, I detected that one of the Yellowhammers looked a bit weird, which is featured in the picture above. The bird showed chestnut brown submoustachial stripes and also behind the eye a bit of chestnut can be seen. 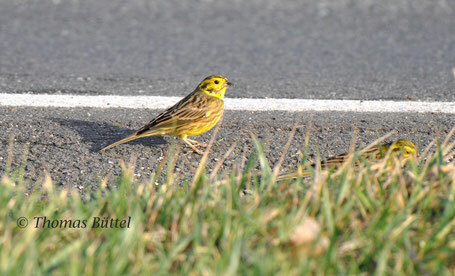 This is normally a feature of Pine Bunting and reminds me a bit of this bird here. My bird also had a rather prominent head pattern, that included two crown stripes. Nevertheless my pictures are always showing the bird in the same position and so I can´t be absolutely sure, whether there is some influence of a Pine Bunting or not. It could be a "yellow" hybrid (hybrid more similar to Yellowhammer), though it must also be considered, that Yellowhammers show some variation, which is a lot more likely.